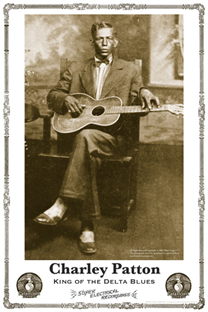 Order Blues Images Charley Patton poster! John's February 7th Auction: HRK #16: THE FINAL SABIS AUCTION!! My Bill Sabis All-78's Consignment Auction: R&B / Gospel / Blues / Rock & Roll / Country / Country Boogie! Year after year, our most POPULAR poster!